I encountered this scene during the bioblitz at Split Oak Forest this past fall. This was one of those times when I was at the right spot at the right moment and I happened to capture the moth landing on the flower, getting tackled by the crab spider, and the crab spider dropping to suspend the moth in midair while it subdued its meal. 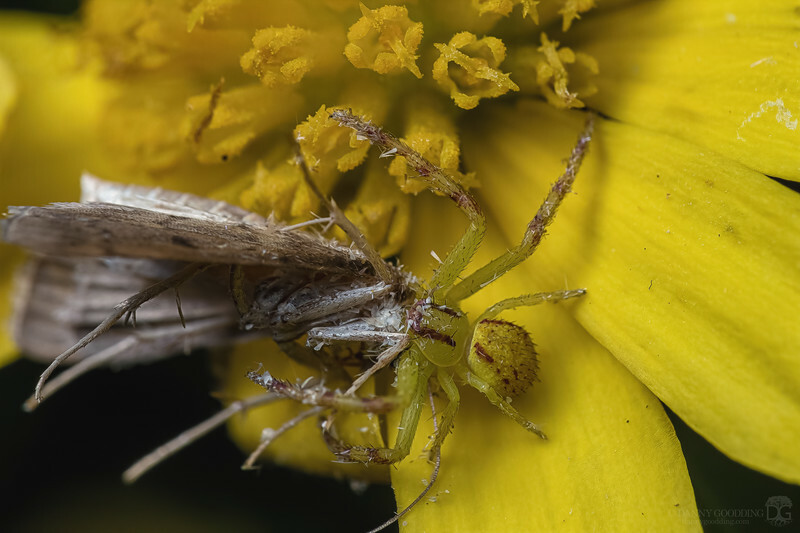 When the spider returned to the flower with the moth in its jaws (4th picture), the moth was completely immobile. This entire sequence happened in the span of about three minutes including the time the spider spent waiting in ambush when the moth landed. It was such an amazing event to witness from start to finish!